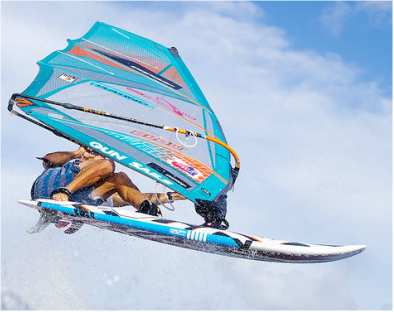 Windsurfing Religion is an online Sydney store that provides premium windsurfing gear. Owner, Justin Lord, is passionate about windsurfing and ready to fit you out with the right gear. So if you're serious about getting the best out of your time on the water be sure to give Justin at Windsurfing Religion a call on 0409 422 400 or patrikorders.justin@gmail.com. Check out our PRO team, we have the best knowledge to help you. Jess is riding waves and organizing wave events. Jess is the most successful Australian Windsurfer ever, male or female! and her record will never be exceeded! She won two Professoinal World overall titles at the height of windsurfing and there is no overall title now so that cannot be beaten and she represented Australia at 4 Olympic games!! Hopefully windsurfing will be ongoing at the Olympics but this record is extremely unlikely to matched. It is absolutely incredibe to compete for so long in a pumping class. Jess is very humble and extremely generous with her time and knowledge. Max will ride the premium AirInSide Slalom 115 and 140 boards and a bit of Freestyle. Max is the Australian Slalom Champion and former Youth Slalom World Champion! Max is a instructor at Balmoral and Max is hoping to compete on the Pacific CUP, Ledge to Lancilin, Green Island and Maritius!! Wow wow, well as many as the budget allows. Max is also riding for GUNSAILS. Max is very freindly and not afraid to have a laugh at himself. He is a fierce competitor on the Slalom course. Michel is fast fast fast! Top speed over 47knots! Michel is also team riding for GUNSAILS and PATRIK. Michel is very well respected and loved in the Australian community. He tells it how it is. He just won the Burrum Windfest NM and 1 hour! Michel is also very humble. Last summer I finshed 2nd in Raceboard Nationals and State Title and 2nd in GPS Slalom. In the past I have won RB Australian titles and Formula State titles and also 2nd National GPS title. Also in the Moth class I got a Junior vice champion in Germany! Two of my proudest moments was, firstly qualifying to compete in the Olympic trials in San Francisco pre children. Bruce Kendall said to me at the regatta, 'this is the best i have seen you sail'. The other was designing my own Raceboard sail and putting it into manufacture! Lord Racing customers won 10 or the 15 races at the National Title! Premium boards for sailors who want the absolute best for a top performance. These boards are shaped and constructed to professional spec's. No need for 'pro'editions with this brand as they are this 100% of the time! Patrik boards don't compromise on quality and performance and neither should you. Gun Sails - Professional and recreational sails and all windsurfing accessories. Great realiable sails and fast! A complete range whether you are going for the World Cup or loving your windsurfing at your local spot. Windsurfing Religion has a range of windsurfing gear including board bags, harnesses, harness lines and wetsuits. 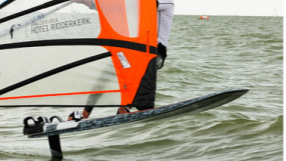 Click here to view Windsurfing Religion terms and conditions and policies.